Look at this good good chunky boy! Chunkier than a can of Campbell's soup, but not a brick by any means! 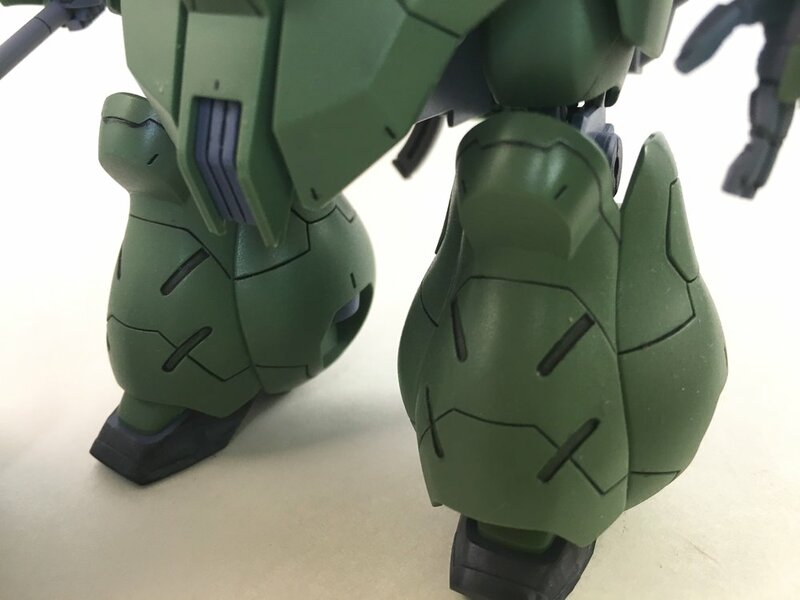 This is the Gusion, which is hard to pronounce. In the anime it's pronounced as "Gushee-yawn", so that's what I go with, but I've heard a few different pronunciations as well. What's important is that its awesome! I went to town on the panel lines; there are so many on this kit. I gloss coated, then used an enamel wash with black enamel paint and thinner, then I cleaned it up with a Gaia Notes finish master. Once that was dry, I coated with a Mr Color spray can matte coat. I also painted the eyes red to give them a little pop. Check it out! I wish I'd taken time to paint the thrusters on the back, they're separated very well and just begging for some more attention! You aren't going to get many poses out of this kit because of how chunky it is, but at the same time it's articulation is decent. Can't have a Gusion photo set without the "Thor" hammer pose.